The Downtown Providence Parks Conservancy is a nonprofit, public-private partnership working to transform Greater Kennedy Plaza into a vibrant and active destination, and your business can be a part of this important work. 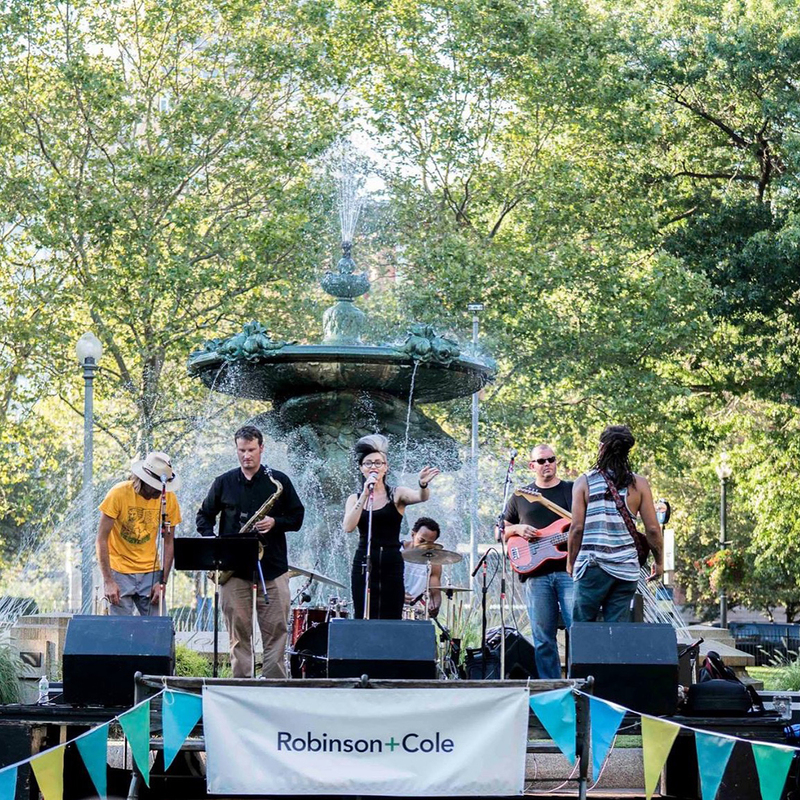 If you believe, like we do, that it’s important to maintain our public parks as safe, recreational spaces for all, we invite you to become an event sponsor and invest in the work we’re doing to revitalize Downtown Providence. Each year, DPPC brings Burnside Park alive with an eclectic mix of regional, national and international artists. Our aim is to expose our diverse audiences to a wide range of art, culture and food through high quality programming. We provided over 4,200 kids and parents with arts and cultural programming through our family programs such as Storytime + Art in the Park. 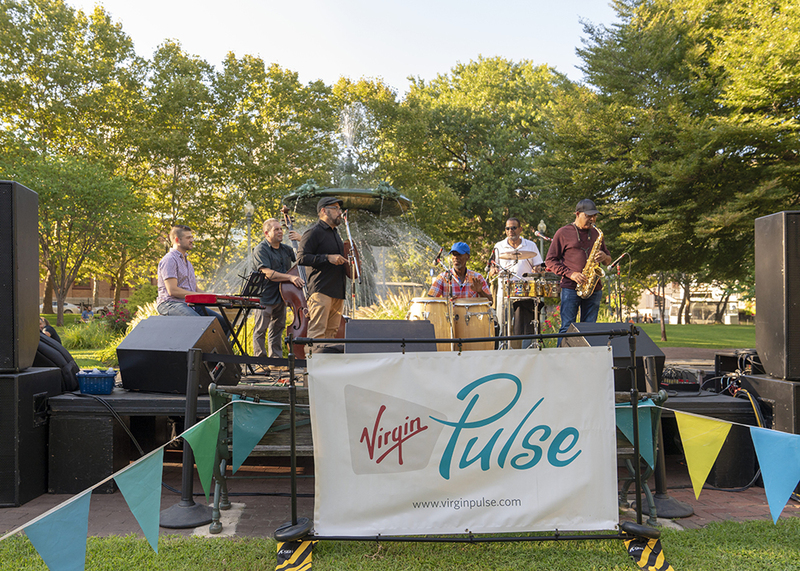 We hosted the 11 week Burnside Music Series + Beer Garden, attended by more than 3,200 neighbors and music lovers. We worked with hundreds of volunteers to plant new shrubs and flowers in Burnside and Biltmore Parks on our special Volunteer Days. We coordinated a diverse range of food options at our midweek Food Truck Market. We provided access to local healthy food at our Downtown Farmer’s Market. We partnered with over 60 organizations, artists and performing groups to make high quality arts, cultural and educational programming free and accessible to the public. We hope you will consider becoming a 2019 event sponsor. You can download information on sponsorship opportunities here for more information. Interested in becoming involved, but not ready for sponsorship? Consider one of our volunteer opportunities.